It’s a hearty, but not heavy, meal for a cold winter’s night. It’s a great way to use some of the summer veggies you stored from your garden or the farmer’s market: tomatoes, green or red peppers, carrots, and garlic. 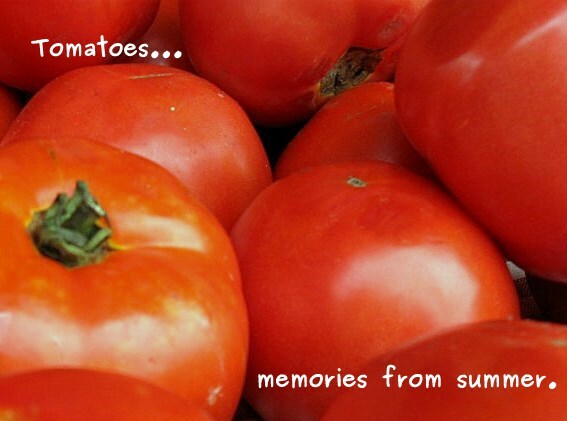 We used the tomatoes that we put in the freezer at the end summer. We adapted several recipes, but below is the basic recipe from my 1975 edition of The Joy of Cooking. We added green peppers and roasted the mushrooms. We used red wine instead of white wine. We seasoned with fresh oregano and basil instead of the spices listed in the recipe. Chicken Cacciatore is a versatile dish because even with our recipe adaptations and changes it was still very satisfying. Simmer the chicken covered with vegetables and spices for 1 hour or until tender. Serve with boiled pasta or sautéed new potatoes. We’d love to hear if you have our own version of Chicken Cacciatore or enjoy this dish as a family tradition. This sounds awesome and right up my street. I shall have to try it! Deanne, this sounds really good. I have an old weight watcher Chicken Cacciatore recipe which is done in the crockpot… your’s sounds so much more sophisticated!! I’ll bet your’s is better!! Adding red wine makes anything sophisicated…;) Crock pot recipes are always great! That’s great. We hope you enjoyed it…extra veggies are always a good thing. I agree, adding red wine makes you feel like you’re a pro!